The Great Pumpkin Challenge - Be your best teacher! One more day until October! The month of Pumpkin Spiced Lattes, Apple Picking and my favorite THE GREAT PUMPKIN CHALLENGE! My students know how much I love food challenges (see my posts on The Great Cookie Challenge!, The GREAT “HOLIDAY” Baking Challenge! and I’ll share my Food Network Challenge with you in a couple of weeks). So OF COURSE I always do a GREAT PUMPKIN CHALLENGE! If you have a google classroom make sure to get our great october headers! I like to do this in groups of 2-3 students. Each group should Bring in a pumpkin OR a pumpkin dessert (that no one in the class will be allergic to – baked at home). So… a regular ole pumpkin to decorate, a pumpkin spice cupcake, pumpkin bar, pumpkin gingerbread cookie, pumpkin donut, pumplin pie whatever floats your boat. In class – studnents will be decorating it with a historical event from THIS SEMESTER. You can have it be holiday specific, (Martin Luther King Day, Columbus Day, Christmas, Chanukah) or a historical event. The class judges each creation and at the end of course they eat the pumpkin or pumpkin food. 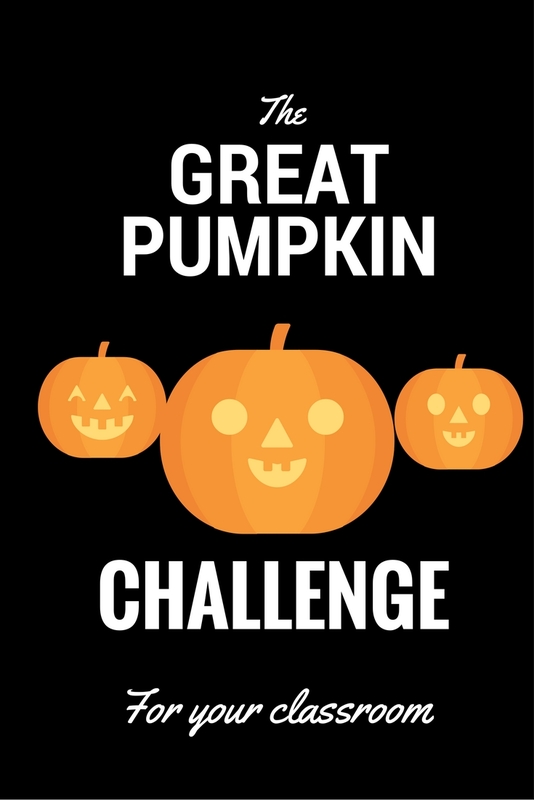 Let me know how your great pumpkin challenge goes! Previous Post Easily Engage Parents!